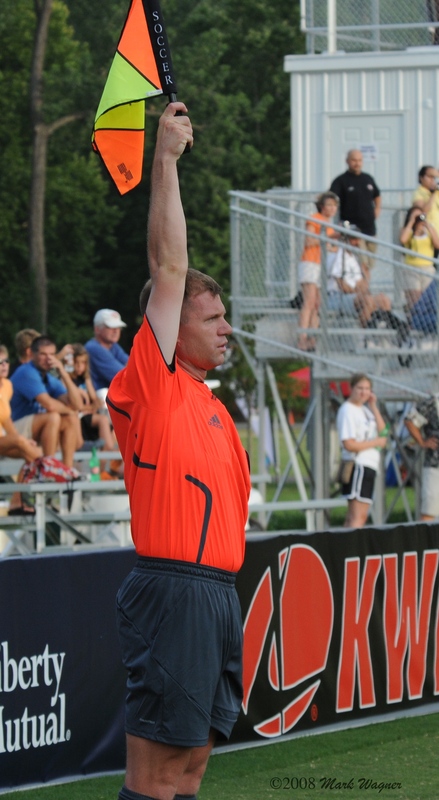 Ever wonder what it would be like to referee some of the best games in the nation? ORION STRADFORD tells us all about it here. If you haven't already done so please visit the NMSRA website and make sure you find a clinic near you. Remember, you have to recertify EVERY year in order to be able to do games. Don't have any games this weekend? If you've somehow managed to not have any games and would like some, we happen to know a few people who would love to help you out. Click here! You'll find that this is a great way to stay current and maybe even laugh a little. Go ahead, click away and check it out. 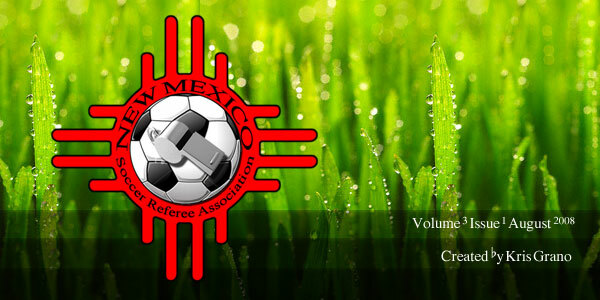 With your help this newsletter will strengthen communication across New Mexico, which is a goal of your State Referee Committee. If you've been a soccer referee in New Mexico for a few years you've probably seen a newsletter from the NMSRA of one type or another. This time, however, its going to be much different. We will be using a variety of electronic communication methods to ensure you stay updated on everything pertaining to being a referee. Additionally you can find helpful resources, stay current on what some of your peers have done and even get the chance to contribute to this newsletter. So as we get into the swing of things we need your help. First, if you have problems with this email please reply and let us know. Second, participation will make this tool even better. If you have ideas or comments make sure to voice them. We also need to be made aware of announcements such as local meetings, tournaments, clinics or special events so we can help you get the word out. Finally, make sure to keep your email information up to date both on the NMSRA website and through the tag at the end of this email. Like it or not coaches, fans and your fellow referees can tell a lot about you when you first step out on the field. Here's how to make it a good one. Sometimes we don't get the respect we deserve and its not always easy to fix that. But other times we set ourselves up for failure right away. From the moment you arrive at the field you are being evaluated. No, this doesn't mean there's an assessor hiding behind a tree. Players, fans, coaches and even your fellow referees will, within a few seconds, create a "first impression" of you. This first impression will affect how they interact with you throughout the match.